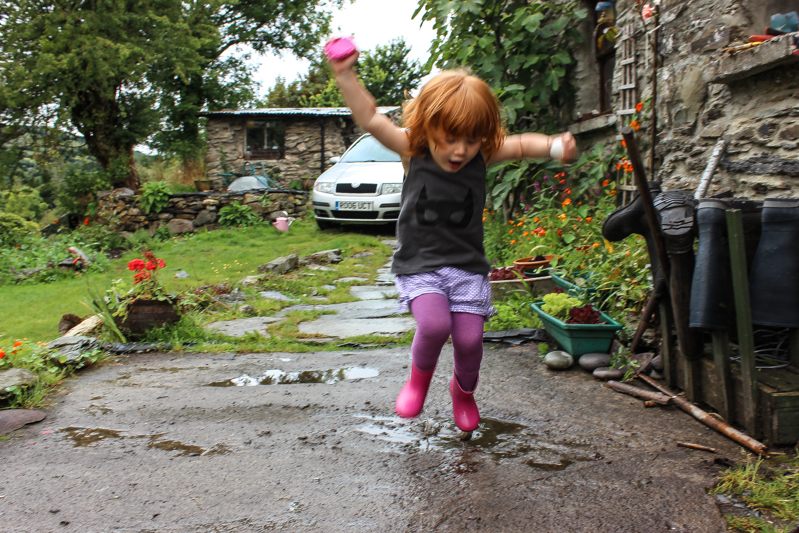 "A Portrait of my daughter once a week, every week in 2014"
Lottie Cakes: Splashing in Muddy Puddles. A very special photo, I caught you mid air in the same spot of your parents very first kiss, almost four years later to the date. A kiss that would lead to a beautiful love that would lead to you. We have travelled around the country, introducing you to old friends and recreating paths taken years ago that have brought us to where we are today. The craics been mighty, the laughter has been plenty and its like a not a day in the last 4 years has passed! More photos to come, for now we are boarding a plane to the South of France! Linking up with Practising Simplicity and Living Arrows. Love this shot, such an action shot and love the contrast of the pink against the green. Have a lovely time in France! © 2016 SewLottieDa. You may not take content from this page without written permission. Powered by Blogger.